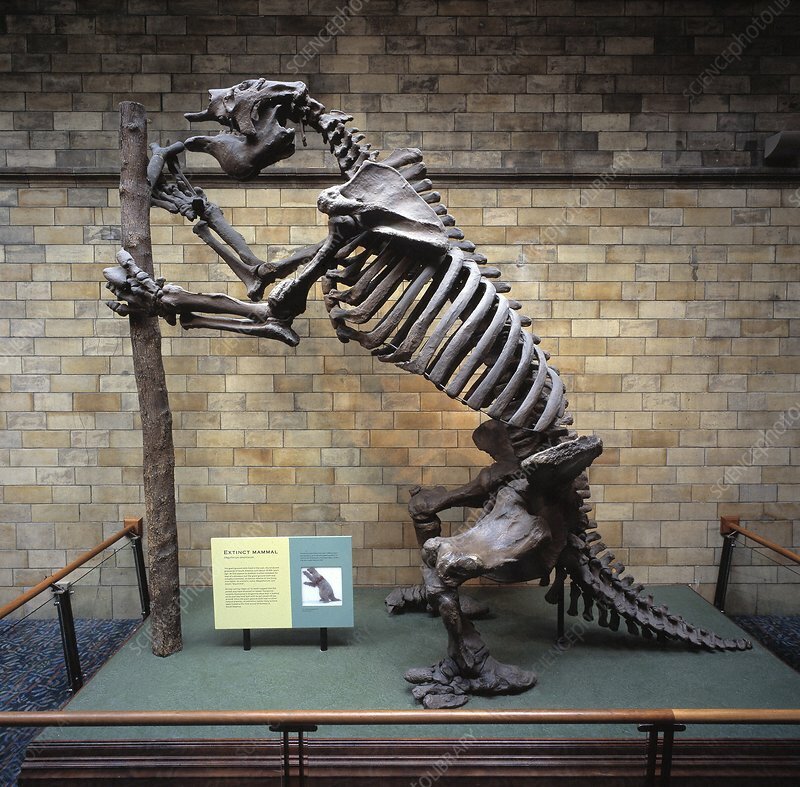 Giant ground sloth (Megatherium americanum). This extinct mammal lived in South America around 5.3 million years ago. This reconstructed skeleton is on display at the Natural History Museum, London, UK.